I pride myself on fixing every vehicle that comes through our garage doors as if my daughter was going to drive it. It's that serious for me and it's why we have been here since 1986 taking care of the cars and trucks for generations of families. 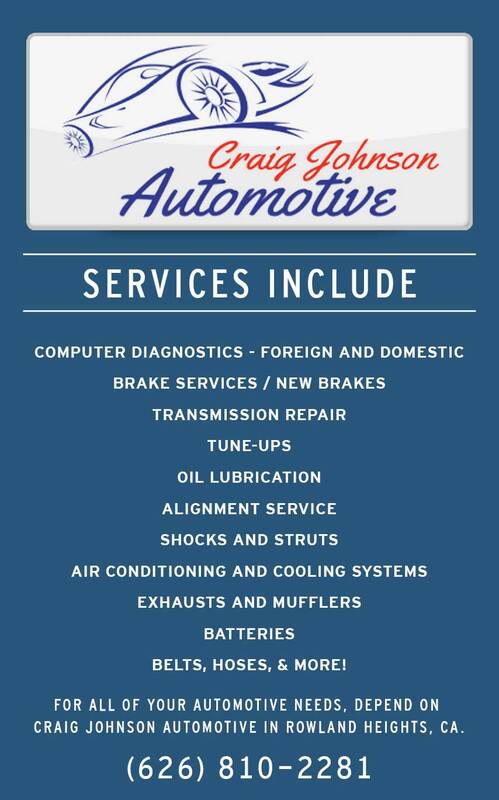 Every day when we open our doors at Craig Johnson Automotive in Rowland Heights, CA our goal is to provide great customer service, by offering affordable automotive and truck repair service performed by highly trained technicians at the highest industry standard. By implementing the latest diagnostic equipment and computerized repair manuals, you can rest assured that your vehicle will be repaired to factory specifications for your specific car or truck.